In what Agenda Inc. refers to as a “highly ironic move,” notorious brand naming counterfeit hotspot Silk Street Market in Beijing has applied for a trademark to its own SilkStreet clothing label and warned counterfeiters not to copy it. In what must be the most lenient criterion for reselling a high end brand in the world, the company solemnly assures us that only traders with ““no record of selling fake or shoddy products within six months and no [customer] complaints.” can sell SilkStreet brands. Well, I am really into irony these days, so dig in with me. This is more than ironic, though: The idea of of building a brand on the concept of brand counterfeiting is the first example I know of what we might call (well, I am about to call) reverse meta-branding. Reverse meta-branding! You like that? There’s even some irony left over. Pretty rich, isn’t it? Particularly since SilkStreet hasn’t (to my knowledge) said they’re going to stop counterfeiting other people’s products. 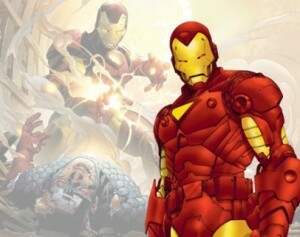 Big groan on the choice of Iron Man to represent irony, but, as always, we appreciate the link to Name Wire.